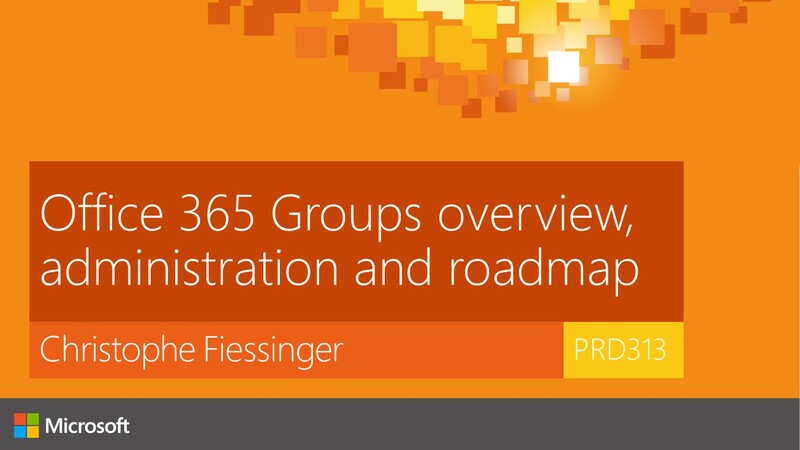 After the launch of Office 365 Groups most Organizations started their transition from traditional Distribution Groups to new Office 365 Groups. Microsoft team started to introduce new innovations to Office 365 Groups on the move and extended their Roadmap, Office 365 Groups has evolved from it initial stages and now have tighter integration capabilities with multiple Microsoft product line providing more enhanced features than ever before. Administrating Office 365 groups is now simplified with rich set of granular controls for management. To know things in a nutshell, review the new Microsoft Ignite Australia 2015 session by Christophe Fiessinger MSFT. 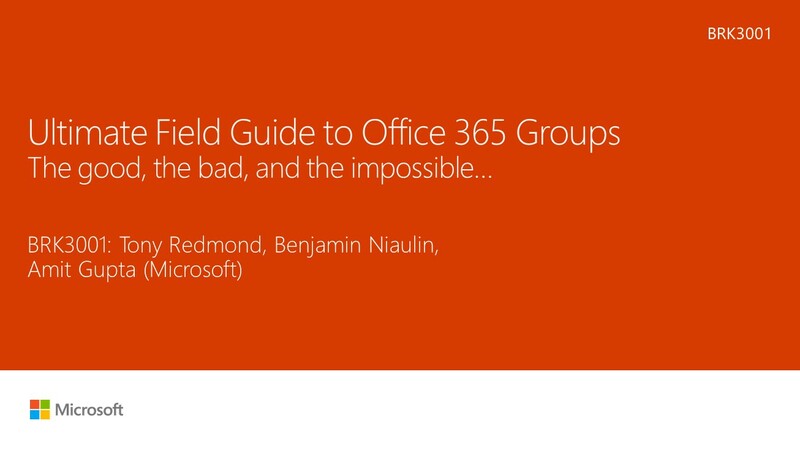 Check out the latest innovations for Office 365 Groups. Recently Microsoft came up with the plan of Automatic creation of Direct reports groups in outlook, and due to feedback received from Customers around the world, instead of making this update to roll-out globally, now this update applies to Customers that have received either message center post MC94808 or message center post MC98024. Review the below documentation to know how you can configure Office 365 Groups settings using Azure AD cmdlets. Long waited Automated Expiration for Office 365 Groups is now available in public preview. With this new feature you can set an expiration timeframe for any Office 365 group you choose. Once that timeframe is set, owners of any groups set to expire will be asked to renew them if they still need them. Groups that aren’t renewed will be deleted. And using the “Soft-delete of groups” feature, any group that was not meant to be deleted can be restored within 30 days by the group owners. Note: The Office 365 groups expiration feature is available in public preview for Azure AD Premium customers. This feature will require Azure AD Premium License when it GAs. Azure AD Expiration Policy for Office 365 Groups is now Generally Available. Office 365 groups expiration can be configured from the Azure Active Directory portal, as well as programmatically via Azure Active Directory PowerShell. Read the Official Announcement post to know more: Azure AD Expiration Policy for Office 365 Groups is Generally Available. Thanks for this guide sir! I appreciate the work you do. Cheers!